Khadim’s father, Hussain’s father and Bachay Atay Jan Ali of SarMazar were the last people to see him alive. They had journeyed together, and then they returned home to their families. He didn’t. We walked for many days and nights. The days were extremely hot and the nights were extremely cold. And then it began raining such that the Sun and heat disappeared. It kept raining, and it got really cold. The desert was vast, open and had nowhere for us to hide. We were stranded without adequate food and shelter. Khalifa’s son had set off with only the clothes he had on. He had no other clothes to keep him warm. He felt weak, laid under a small tent we made for him using our jackets, scarfs and coats. He shivered, and died of cold in the middle of nowhere. While the rest of us stopped and talked about returning, he was determined to keep going. He left us there, and walked into the rain and mist. We saw him walk away and disappear in the rain and mist of the desert. For a long time that was all we knew, and nothing more. Then one day few years later, from the front window of the house, I saw a stranger walk into the village. He paused just past the pass, looked around, and headed straight to our house. He sat outside and said nothing. I felt nervous and sent for your father. Salam. You haven’t introduced yourself. What brings you to our home? I have a letter from your father. I have been sitting here for a long time, and I haven’t even been offered tea. I and your father just stood there, staring at this man, in utter silence. He looked around. He sounded nervous. Let’s not talk about it here. Let’s go in and we can talk about it. We went inside. I made him tea. There was hope after all. Your father told me the name of your village. He told me to look for a large mulberry tree, and go to the house right next to it. I spotted the tree and your house from the pass. I knew it was the right house. He asked for a hookah. I sent Zia Gul to my brother’s house to get a hookah. The poor girl was so jubilant, she ran up and told every one about the man. She returned with a hookah, and followed by Hussain’s father. He is my brother. He is our own. Hussain’s father greeted the man. They had tea. He described the journey. It was cold and rainy in the desert. We were set upon by local bandits. We ran for our lives, and soon became lost. There was more rain, and it became unbearably cold. My brother-in-law wore a shawl. We huddled together and he covered us with his shawl. He lit a cigarette, and took a long puff. He passed it around. It did nothing. There were no more cigarettes left. Khalifa’s son was fragile. He could barely walk. My brother-in-law said we better leave or we would all die. The dying kid didn’t want us to leave. He pleaded with us, and said we would all die anyways. Let’s die together here rather than one at a time. My brother-in-law left the shawl cover, he fastened his belt and shoes, and began walking into the mist. We sat there, huddled together, staring at him walk into the mist. The stranger raised his hand. I believe you. He does not know that you all live. He took a folded paper out of his pocket, stared at it and then put it back. This isn’t the letter from your father. This is for a family in Kosha. He searched his other pockets. I may have left the letter with the other person in Angori. He instructed your dad to visit Angori, and get the letter from him. At this moment, my older brother Shaikh walked in. The man was so started, he almost got up to leave. Who invited all these people!? Why are you bringing in all these people!? I tried to calm him again. He is my brother. He sent you the hookah. The man did not calm down. He was visibly startled. He slammed the tea container on the ground, got up and headed for the door. My brother followed him. We pleaded with him to tell us more. I begged him to take a letter with him. The man did not wait. He put on his shoes, and headed for the pass. He took a few steps, and then turned to me. What kind of brothers are they! Tell them to man up, and go to Iran to find your husband. Your brothers don’t believe me. They ask asking me for the color of his clothes. I take hundreds of people to Iran. How can I remember every person’s clothes and face. Your husband is in Iran. He is fine and healthy. With those words, he headed for the pass. In the same way that he had walked in, he walked out of the village. He was a people smuggler. He was fearful the villagers would report him to the government. In those days, people smugglers were luring people, and taking their money to take them to Iran. There were rumors that some villages had reported and handed over people-smugglers to the government. Your father visited the address in Angori. The man there denied any knowledge of the other person, or of your grandfather. He denied he was a people smuggler. That was that. We never heard from that person again. We looked for him, but no one knew him, or his whereabouts. He disappeared, and so did all our hopes. Many years later I realized that your grandfather may really have reached Iran. He may have been alive. He was a clan elder and man of honor. He probably thought that he had left behind his brothers in law and friends. He thought they were dead. He probably thought there was no honor in returning to the village without them. To make it worse, the smuggler never returned to return to take a reply letter from us to your grandfather. Perhaps, perhaps that made him think that we didn’t want him back. He probably thought we had given up on him. It doesn’t matter thought. What difference does it make now. We never heard from him again. We had no way of finding out about him or looking for him. Just like that, he was gone. We still don’t know what happened to him. The good are good regardless of the time of the year. The scoundrels display rare but false honesty and goodness in Ramazan. During the civil war many years ago, Ramzan brought a lull in the fighting. People ventured out of their villages and farms, and it appeared as if the peace would last. I heard from Moallem of Sirqol that the neutral families and villages had mediated between the warring groups. They had negotiated a cease-fire. It was the month of Ramazan, perhaps the day before the 3rd Qadr. There was an unusual calm, perhaps a little too calm. 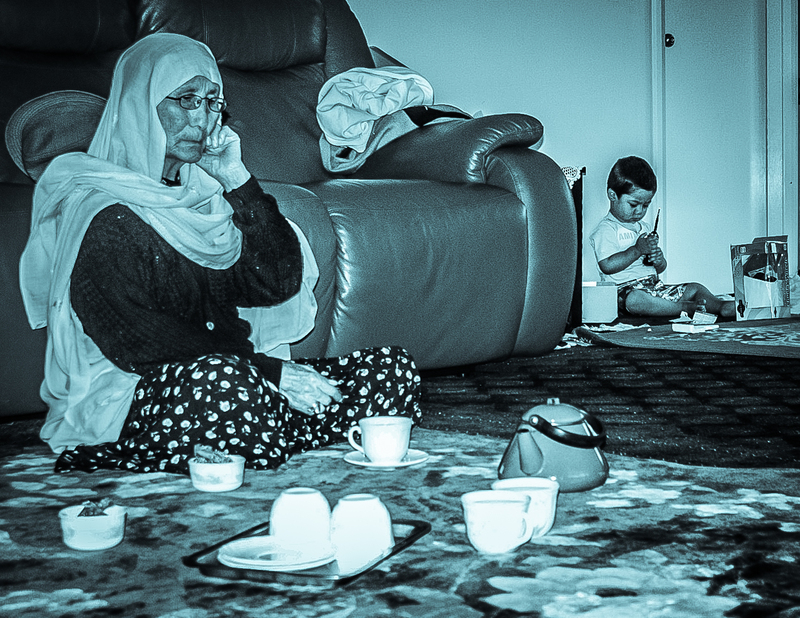 Your mother and I had just sat down to break our fast that evening when gunfire shattered our new-found calm. It was close, perhaps from just beyond the pass. There was periodic gunfire at first, and then it was chaos. I walked out to see what was going on, but I saw nothing at the pass beyond the village or on the mountains around us. It was further away. This went on for the whole evening. We broke our fast but we lost all our appetite. How can one eat when there is no peace of mind! We sat together in the dark, nervously waiting for something to happen, something terrible. There was no sleep, no appetite. The commander and his men had agreed to the Ramazan ceasefire but used the lull to plan their mischief. On the night after the ceasefire, they made their way to Tabqoos, behind enemy lines. They dined there, and in the early hours of the morning crawled up the mountain to attack their rival groups in their trenches in the mountains of Paato. That night the opposition had put a man named Ali Madad on guard duty. It is said that Ali Madad had spotted people crawling up the hill, but as he approached them to find out who it was, he was shot and killed. His comrades were alerted by the gunshots, and soon, they rained hell down that mountain slope. The cease-fire was broken, and it was back to war and killing as usual. The commander’s plan fell on its face. Many of their men were killed. 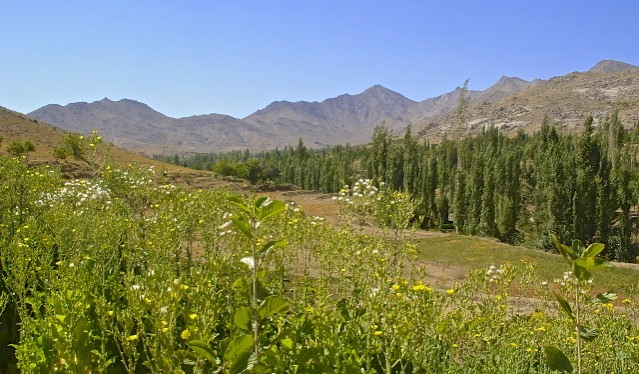 The bodies were laid out in the open near Sang-e-Masha. One of the dead men was so huge, they had to drag him down the hills. The shopkeepers joked extracting oil from his body. The dead were quickly dispatched to their villages for quick burial. The truth is that those people were always scoundrels, Ramazan was just an excuse to lie and deceive the people. Zara’s life was a tragedy. She began life with all the joys in the world, but lived it in agony, and died in misery and solitude. Zara was your father’s paternal aunt. She was married off to Hotqol. Her husband had two adolescent children from a previous marriage – a boy and a girl. They had lived with their grandfather in another village after the passing of their mother. They returned home after Zara had her children. When we visited her a few summers after her marriage, she seemed happy. She had two beautiful daughters. They were healthy and good looking. I also met her youthful step-children. The girl was lovely and beautiful. The boy was strong, and already helping out his father. They were nice, and welcoming. Zara had a beautiful and happy family. And then it all changed. A year or two later it all vanished, like the night devours all sunlight. Zara’s happy days were devoured by a nightfall of misery. First her step-children fell ill, and died, one after the other. A few weeks later, or perhaps months later, her own daughters fell ill and died. She gave birth to a son. The new-born too, died. In a short time, their five children died, in front of their eyes. Zara’s step children had contracted Tuberculosis while living with their grandfather. When they returned to their father, they fell ill, suffered and both died. The Tuberculosis then killed Zara’s two daughters and her new-born son. She came to visit us once. She had aged so much in such few years. She looked old, and was ill, and bloated. There were no doctors or hospitals back then. There was no treatment. People tried herbs, and prayers and talisman. None of it worked for her. The condition destroyed her organs. She could not have children anymore. Years went by. Zara and her husband were old, weak, ill and all alone. She asked my husband, her brother, to send one of our kids over every now and then. I sent over Rubaba. She stayed with them one winter and then returned. Next I sent Hafeeza. She was clever and stubborn. She stayed for a night, and returned the next day. My other children were too young to send over. Then, one day, Zara’s husband fell ill, and died in Hotqol. 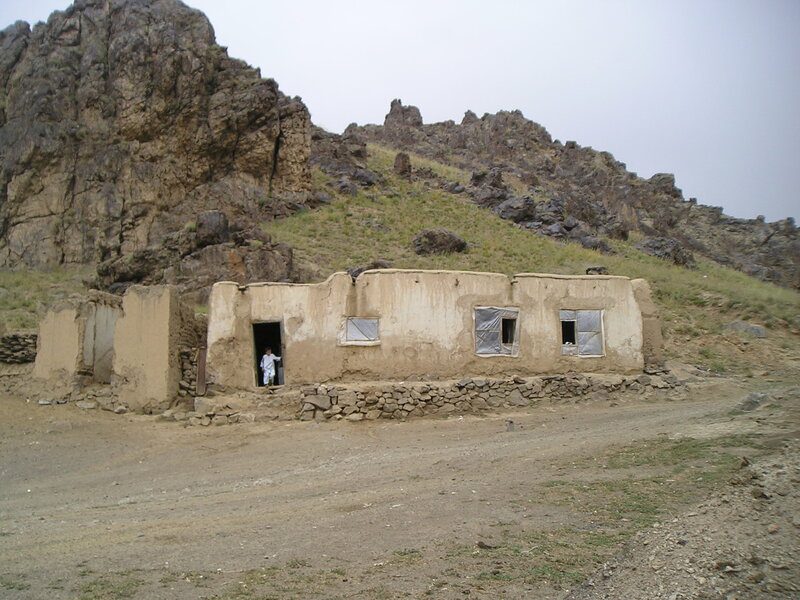 A day later Zara fell ill, and had to be taken to Kabul to see a doctor. She died a week later. She was buried in Kabul, a long distance away from her husband in Hotqol. They died a week apart. 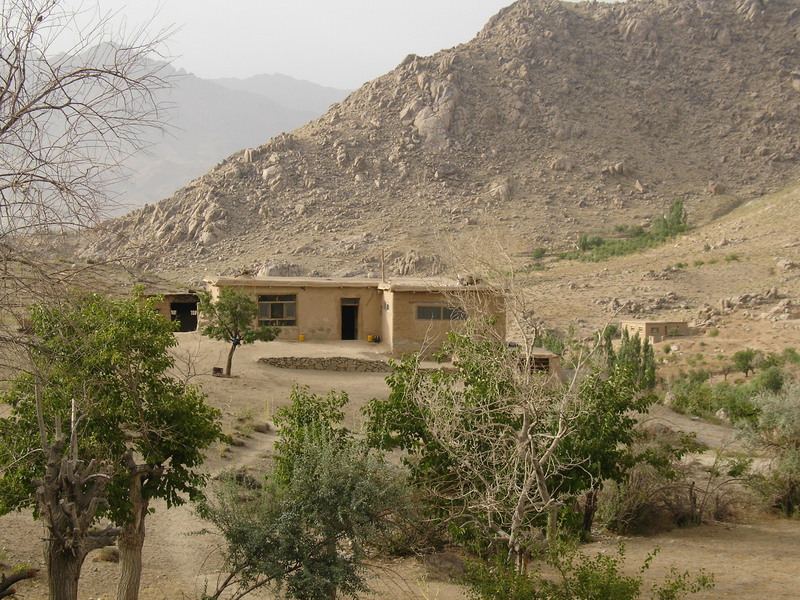 Hadi jan, a home is good with people, with children. Otherwise, it’s just an empty life-less building.